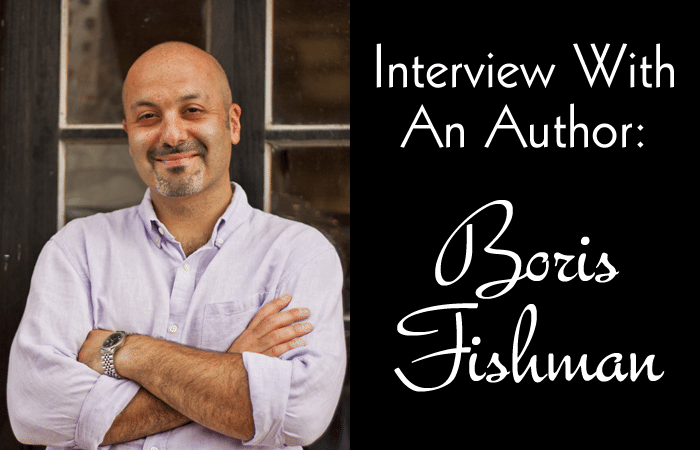 Interview With An Author: Boris Fishman - Writer's Relief, Inc.
Born in Belarus, Boris Fishman immigrated to the United States in 1988 when he was nine. His writing has appeared in The New Yorker, The New York Times Magazine, The Wall Street Journal, and many other publications. 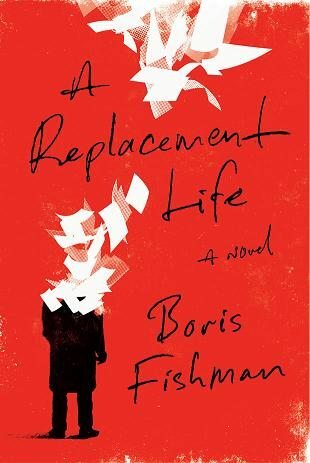 A Replacement Life (Harper Collins) is his first novel. He lives in New York. CONTEST: Leave a comment or a question for Boris below by September 10, and you’ll be entered to win a copy of his book, A Replacement Life! U.S. residents only. This contest is now closed. Congratulations to our winner, Karen Goldstein! Thank you to all who participated! Every writer has to learn how the publishing business works. How did you do it? It was and remains very much a process. Because we were in New York, I think my MFA program wanted to save us from what they saw as the commercial realities pressing in from all sides. (And it’s true—disappointingly, I tend to talk about contracts rather than craft with my New York writer friends.) So we got relatively little preparation for the business end of things. What helped me was that I had spent more than half a decade in publishing and journalism before turning to fiction. I knew the agents who were specializing in literary fiction; I knew enough mid-level people who could help me get consideration from said agents. Though knowing people never gets you through the door, as it shouldn’t—it only helps crack it open. I am exhibit A—I was turned away by quite a few agents before I found the right match. And then you just do. And ask. I kept turning to my editor, my publicist, my marketing person at Harper Collins, and asking: What is this? Why does it work this way? Can it work another way? I was always polite. But I wanted the education. A publishing house, especially a big one, is not always suited to providing an education for its authors in how publishing works; that’s not its mission. But there’s a lot of knowledge there that can be plumbed if you ask the right way. And then—call people. E-mail people. Take people out to lunch. I mean the people who’ve done this before you. Pick their brains. There’s nothing all that intuitive about the way publishing works—it’s an art, just like writing. There’s no reason it should be instinctive. But knowledge is power. The idea that the writer needs to relax, sit back, and let the house take care of everything—that’s not for me. What role does social media play in staying connected to readers and/or building an audience? I’m still trying to figure this out. I used to be one of those lame people who held their nose when Twitter came up. Personally, Twitter is not my preferred form of communication. But I recognize that a lot of people find it valuable and compelling, and I am trying to reach those people, for the most honest reasons. So my personal self, as central as he is to the act of writing fiction, needs to relax and sit down and let my professional self educate him a bit. And if you stop worrying, you might just find yourself having a great deal of fun with it, as I have. Publicity is way more creative than I realized. But I’m drifting off-subject. I’ve been careful not to tire people with ceaseless exclamation marks and plugs for the books. I’ve taken care to not say anything unless there’s something actually substantial to say. I’ve happily embedded self-promotion in the promotion of other things I care about. And I’ve been very candid about the upsides and downsides of the whole experience. And I would like to believe that’s been the most valuable thing, rather than where I’ve done it. I recently sent an email to about seven hundred non-Facebook, non-Twitter contacts talking about my experience in getting the book out into the world and asking for their help in pushing for it a little bit more. I got about two hundred responses—an astronomical response rate, arguably a far stronger one than I’ve ever gotten on Facebook or Twitter. I think that mainly had to do with the tone. Here’s the bottom line: I feel it’s less about the medium than smart and well-targeted curation of your audience. You can knock on the doors of their homes, if you want. But target them well. We live in a siloed world, in that sense. What was the biggest stumbling block or frustration for you so far, and how did you overcome it? The endless rejection along the way. I wrote for more than three years; I did twelve drafts. My most certain companion during this time was the rejection letter. From writing colonies, from agents, from editors. That sort of thing used to bring me down for two weeks. But little by little you watch yourself getting back up, dusting yourself off, and somehow continuing. It cultivates your strength of character and self-confidence in a way that starts to feel as valuable as the writing chops you’re developing. I am exceptionally—exceptionally—grateful for what’s happened to me. But by the time I sent out my novel to agents (a second time) in the spring of 2012, I was a stronger person. The incredible and indisputable validation of signing with an agent and selling the novel—that had become separated from my sense of self-worth. Maybe that’s why the book sold. … an incredible character builder. I know that seems Pollyanna-ish to say, and it was certainly miserable in the moment. But it taught me so much about myself. What patterns, habits, or motivational techniques have best served you on your journey to success? Discipline. Crazy discipline. Read every day. Write every day. Don’t wait for the muse. A requisite number of hours. Try to minimize distractions. (I say “try”—no one is a hero.) Treat it like a job—every day, Monday through Friday. Be unavailable to friends. Watch your money. And you may be built differently, but I desperately need some kind of physical activity or manual labor to counteract the sedentary nature of writing, where your brain gets like a wrung-out sponge but your body is restless. It’s hard. But, for me, there is no surer way to a sense of dignity and optimism. By this point, a day without writing is a guaranteed way for me to feel miserable, phlegmatic, and unfocused. Follow Boris on Facebook and Twitter, and check out his website! CONTEST: Leave a comment or a question for Boris below by September 10, and you’ll be entered to win a copy of his book, A Replacement Life! U.S. residents only. ← ProofNEEDing: Is there a GPS for this? If they were very close friends, I would try to educate them about what I needed in the moment: Support, or silence. I’d also try to own up to the fact that the reason their comments felt so unhelpful was that no one could possess more doubt about my project than I already did, so absolutely no need to remind me of its low chances of completion, let alone success, thank you! I was in doubt enough for everyone! But most friends are not close enough to do this work, so I would just smile and nod without apology. Suellen, I try to read a minimum of 50 pages a day for “work,” that is, literature that I may be enjoying more or less, but would like to get through for my own education. (I read closely and slowly, reading as much as a writer as a reader, so it usually takes a good 90 minutes.) I usually start the day with this. Some writers don’t like the interference of another voice, but it helps me get excited about words in a broad way. Then I move on to my own writing. If I’m writing from scratch, I can’t make it more than three hours. (Though those three are virtually without interruption save for, say, a bathroom break.) If I’m revising, I can go for 4-5 hours. It’s a great day when I can also find some time to read at night, before bed. This is usually for pleasure, and as often involves a New Yorker as the same book I was reading in the morning. Brian, I continue to attach a great deal of significance to the imprimatur of a traditional publisher, even as I am very responsive to the argument that there’s no reason the market can’t decide directly. It’s just that traditional publishers continue to possess resources — financial, publicity, distribution, etc. — that usually outstrip what an individual can do. However, if the traditional approach isn’t an option, there’s no reason not to self-publish. Retain the services of an outside editor to make sure you aren’t being overly kind to yourself; if the funds are there for a professional text and cover designer, even better; freelance publicists vary greatly in skill level, so it helps a lot if you have your own imagination and drive when it comes to thinking of whom to pitch your book, and how to frame it; but otherwise, full steam ahead, I would say. Hi Karen — I’m not in a literary group just now, but I found its equivalent — the MFA program I attended, at NYU — massively helpful. This was when I began to write every day, to treat writing like the job it should be treated as. Where I developed a whole new level of discipline, in terms of both reading and writing. And where I found a community of like-minded souls suffering through similar torments. And, of course, I learned so much. In the absence of an MFA, a literary group can, ideally, provide some of the same comforts/lessons. Kathy, the best piece of advice on writing I ever received… well, there have been so many, but I should tell you the one that popped into my mind when I read your question. It came from Salvatore Scibona, a very talented novelist (his debut novel “The End” was a nominee for the National Book Award when it came out) who was also the writing fellows’ coordinator at the Fine Arts Work Center, a seven-month writing-and-visual-arts residency that takes place every winter in Provincetown, on the eastern edge of Cape Cod, when I was there in 2010-11. Salvatore urged me to hold on to my manuscript for as long as I could. He knew that after years of work, I was itching badly to send it out to agents, to get some judgment, a referendum on whether I should proceed, and how. And he said, essentially: “I understand, but hold on to it as long as you can bear it. It will get better with each draft.” He was more right than I realized because we get so few chances to knock on an agent’s or editor’s door; if we do, it should be because we have made the best we can imagine out of our project, and even after repeated head-banging-against-the wall, can’t imagine how in the world to improve it. Then and only then. It’s insanely unfair to have to work on spec year after year, with no guarantees. But patience — superhuman patience — is as critical to this work as being able to turn a good sentence. Hi everyone. Forgive my silence; I’ve been traveling abroad on behalf of the novel. I’ll take your questions one by one in the days ahead. First, Margie. You’ve asked one of the toughest questions there is. You’ve invested so much in a project, but you don’t want to keep throwing good money after bad, so to speak; what distinguishes perseverance from oblivion, right? There’s no set answer. I was fortunate enough to have chosen a project whose core remained promising even as my execution was wanting, draft after draft. Perhaps that’s the most insightful thing I can say, and do forgive me that it’s not especially concrete, but this is such a subjective, gut decision, and also your question was without specifics about your situation: If the conceit, the framework, the grand message — all the macro stuff — is solid, meaning you continue to believe in the big inquiries and ideas that made you want to write what you’re writing, you must keep going. The execution will eventually come. (Mine took 12 drafts.) But if you’ve discovered what feels like a terminal flaw in the design — you’re no longer very interested in your main subject; or your characters have come to bore you — then perhaps it’s time to cast aside and start anew, on the same project or another. The question that cuts through both possibilities is: Are you still excited about what you’re doing, and simply don’t know HOW to do it? Because for me that has always been the best litmus test of whether I should keep going — Am I still invigorated by the experience? I find it’s very hard to get much of anything done in this line of work without crazy passion about what you’re working on. Why do it otherwise, it’s too painful! A postscript: One important thing I do know is that in this very not-easy industry, staying in the game is half of it. So, please keep writing. Best of luck to you. How many hours a day do you spend writing, and how many hours revising what you have written? How many hours do you read, too relax? Throughout the long cycle of rejection did you ever consider self publishing? What about in the future? Of course you have your publisher but is there any interest in retaining your e-book rights and doing a combination trad/indie? Congratulations on your book! I recently read a review about it (very positive) and now have even more incentive to read it. Question – Are you in a litterary group, and do you think these groups play an important role in an author’s life? What was the best piece of advice you have received on writing? I really liked your question and answers here because it is what we need to read. My question is how do you know when it is time to give up and move onto a new project ? Thank you!